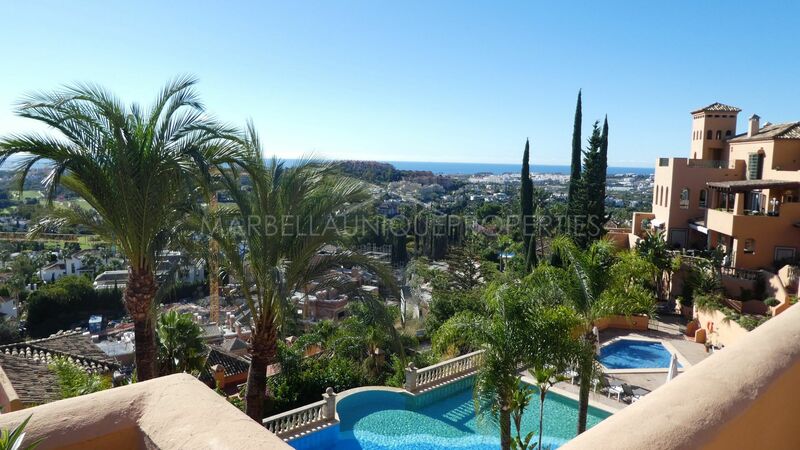 A very elegant and charming 3 bedroom duplex penthouse apartment in Los Belvederes, a luxury gated complex in Nueva Andalucía with fabulous panoramic views. The property is ample and spacious distributed over 2 floors, the ground floor boasts a charming entrance hall leading to a large living room with sitting area, dining area and central working fireplace all opening onto a fantastic south facing partially covered terrace with outdoor relaxation and dining areas. A fully fitted kitchen and a guest toilet are also located on this floor. The upper floor boasts 3 good sized bedrooms with the master en-suite and a large family bathroom for 2 bedrooms to share. A solarium terrace with views to La Concha mountain and down to the sea across the golf. The property is to be sold unfurnished and includes 1 private garage space and 1 storage room. The community is kept impeccably with a beautiful large swimming pool and second children’s pool, garden areas, 2 tennis courts and a gymnasium with sauna. Gated and secure this community also boasts 24hrs security. 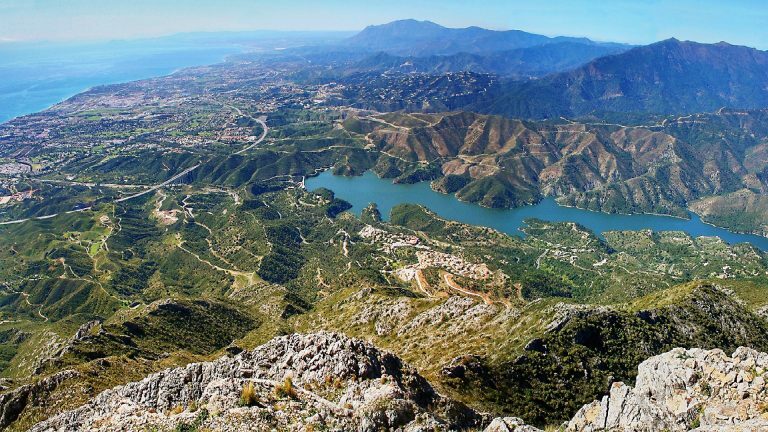 Less than 10 minutes’ drive to Puerto Banus, various well known golf courses and the beaches. 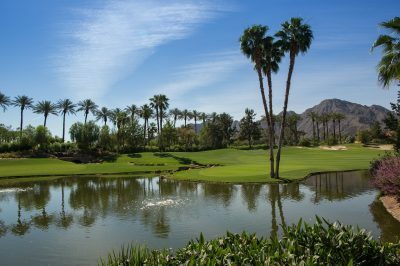 The property is within a short drive to amenities and facilities in a quiet mountainside location. Nueva Andalucía once an orange grove, with its beautiful landscape quickly became a homeowner’s paradise with luxury properties being bought and built here since Marbella’s tourist boom in the 1960s. Properties that are frontline to the golf courses in this area have fantastic views of these top quality courses and are continuously in high demand both for sale and for rental, offering a variety of styles from the most current trend of modern and minimalistic to the traditional Andalusian. “Turtle Lake” – A beautiful natural lake that was restored and transformed in the recent years, making it an ideal location attracting people of all ages for picnics, family outings and or a relaxing walk by the waters edge. The Bullring – A masterpiece of architectural design, no longer used for its main purpose as a working bullring, now catering for concerts and events, offering a unique setting. One of the most famous International events was hosting the Davis Cup in 2009. Saturday Market – A unique street market experience when visiting Marbella, here you can find a large variety of items from antiquities and furniture, to local products and handicrafts, to fresh cut flowers, this Market is visited by locals and tourists alike each Saturday morning, positioned round the Bullring and up to the commercial center “Centro Plaza” with many coffee shops and restaurants.